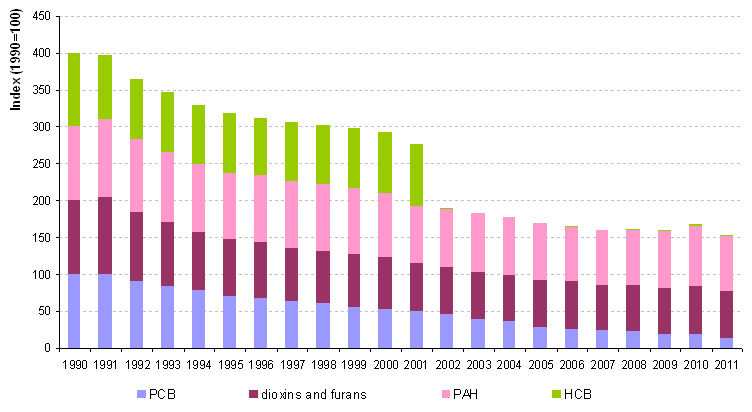 The indicator shows the trend of anthropogenic emissions of persistent organic pollutants (polychlorinated biphenyls (PCBs), polycyclic aromatic hydrocarbons (PAHs), hexachlorobenzene (HCB), dioxins and furans) in the air during the period 1990-2011 in Slovenia and European Union countries and emissions by category of resources in the Slovenia. 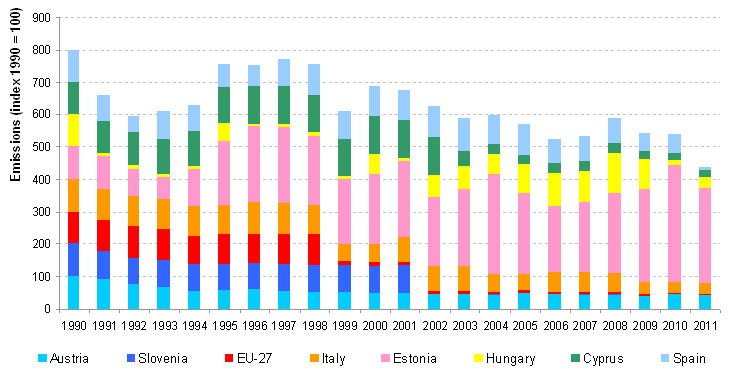 Airnet, Državne emisijske evidence, Slovenian Environment Agency, 2013. 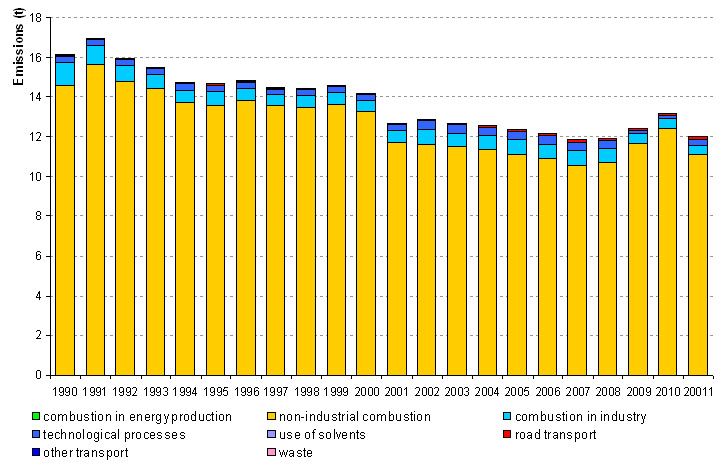 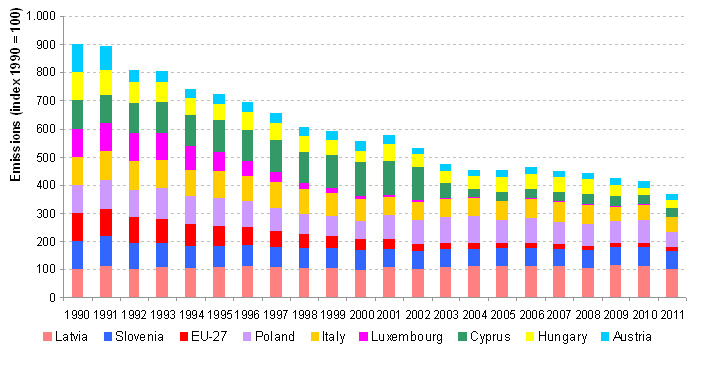 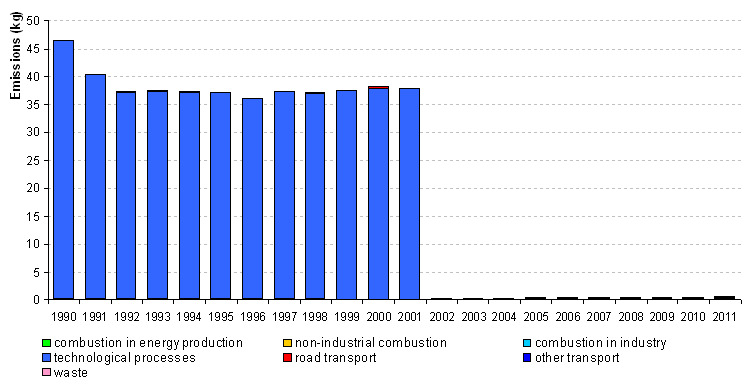 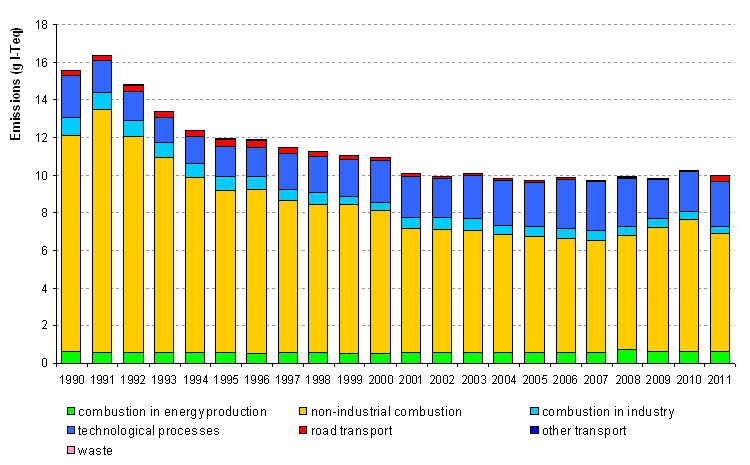 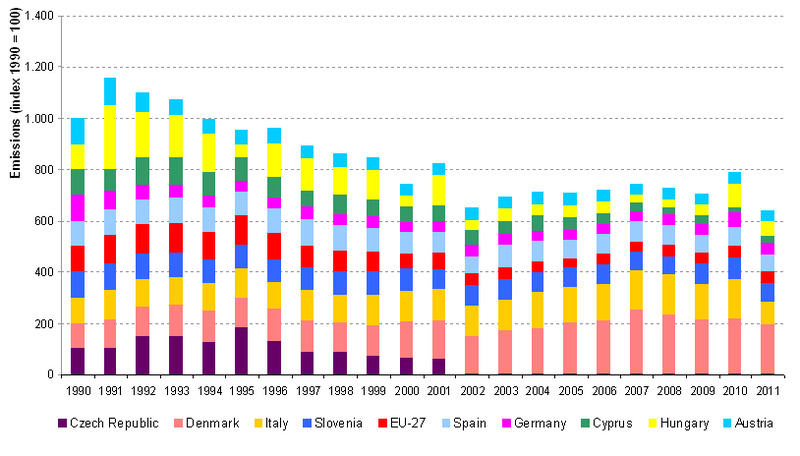 Air pollutant emissions data viewer (LRTAP Convention), EEA, 2013. 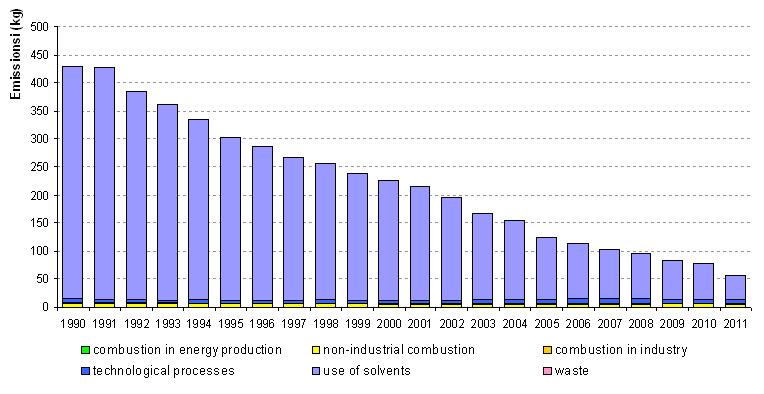 Air pollutant emissions data viewer (LRTAP Convention),, EEA, 2013.